Everyone’s favourite beauty insiders Refinery29 are launching a beauty council with a difference. Instead of leading industry experts and celebrities, Refinery29 are cleverly engaging with their readers, employing their help to report on all things beauty and try the latest products. After all, who knows better about what people want to read about than the readers themselves? Fancy trying it for yourself? Fill out the application here. We can’t wait to read more about it in the new few months. Key beauty insider Alessandra Steinherr has teamed up with Elizabeth Arden to create a make-up bag to carry skincare and beauty essentials. Steinherr commented: “I am always on-the-go and I like to carry my daily essentials with me, so I need a roomy beauty bag that isn’t too bulky”. Joining the beauty collab trend, Vogue contributor Funmi Fetto announced the launch of The Beauty Box for AW18. Inside is a curated selection of the journalist’s favourite beauty products, including Estee Lauder, Clinique and Bobbi Brown. 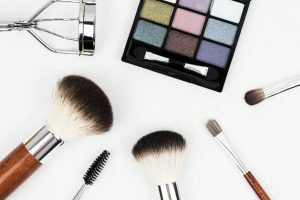 Journalists are becoming more and more multifaceted, tapping into every element of the beauty industry. It will be interesting to see what’s next for our top beauty editors. The Advertising Standards Authority have banned an Instagram Story by Made in Chelsea star Louise Thompson after she didn’t make it clear she had been paid to promote its content. Thompson’s Instagram Story, published in May, featured a video of her using a facial brush product from Vanity Planet Store. Thompson claimed that she was unaware of the need to include #ad on the Story, since her followers would have been aware that she had been paid from the context of the post. The ASA pointed out that, despite the invitation for users to ‘swipe up’ and receive a discount, it was not obvious whether the post was independent editorial content, sponsored editorial content or advertising. Guy Parker, the ASA’s chief executive has previously said that people shouldn’t “have to play the detective to work out if they’re being advertised to.